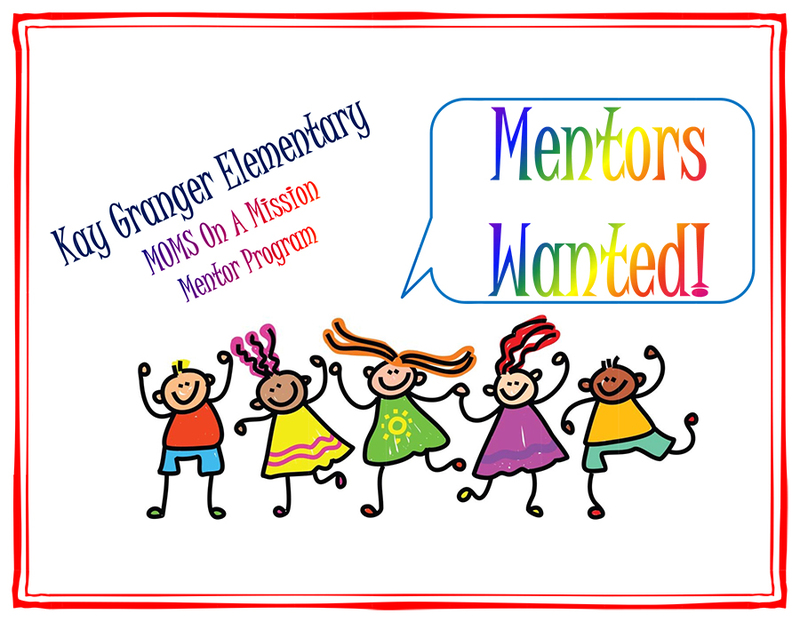 Granger Elementary is excited to “Kick-Off” our Moms on a Mission Mentor Program*! This volunteer program will consist of a mom working with a classroom teacher providing academic support through small groups and individual assistance. An effective mentor is one who displays consistency and reliability, good listening skills, patience, sensitivity to confidential information, and good judgment. We ask that you make a commitment to visit at least 1 hour per week. As with all school volunteers, a routine background check is required and should be completed prior to being matched with a classroom. If you are interested in assisting a student and/or classroom in this way, please complete our online registration form here by 10/05/18. Classroom assignments and additional program detail will be provided at our Kick-Off meeting on 10/10/18 at 10am. If you have any questions, please feel free to contact us. Thank you for doing so much for our Granger kids! We appreciate you! For more information contact Christy Buce or Hope Santiago by clicking below. * This program was originally created to be the “moms” equivalent of our dads’ Watch DOGS program. However, dads wishing to mentor are welcome to do so. Dads should sign-up as Watch DOGS and then contact our MOMS Coordinator to be matched to a classroom. Alternatively, moms wishing to volunteer and not be assigned to a specific classroom and instead float to help where needed can sign-up with MOMS on a Mission and then schedule through Watch DOGS by emailing kge.dogs@gmail.com.